We are putting the final touches in place on the Hunter Douglas ceiling on this unique project. 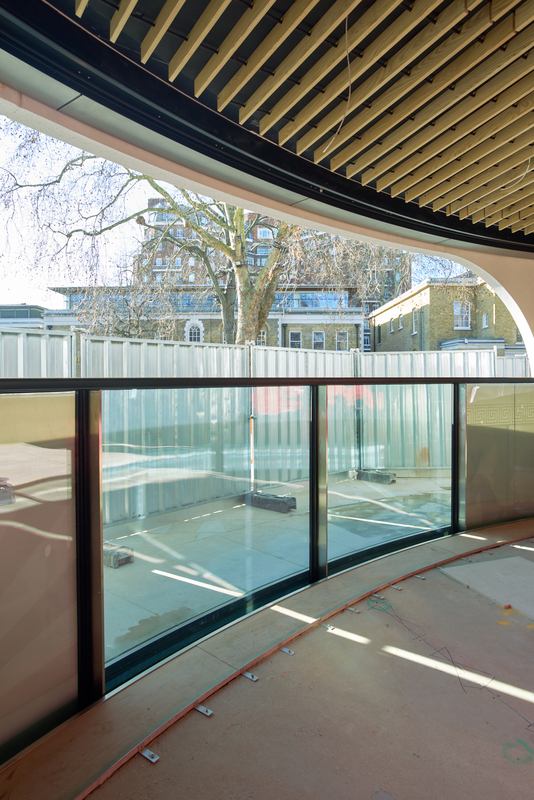 The retractable curved windows which sweep around the façade are already in place. The unique design permits the glazed windows to descend into the basement and permit al fresco dining in the summer. The project is due for completion in and handover for occupation in March.